Frank proposed to his beloved tonight, and I got it on video! 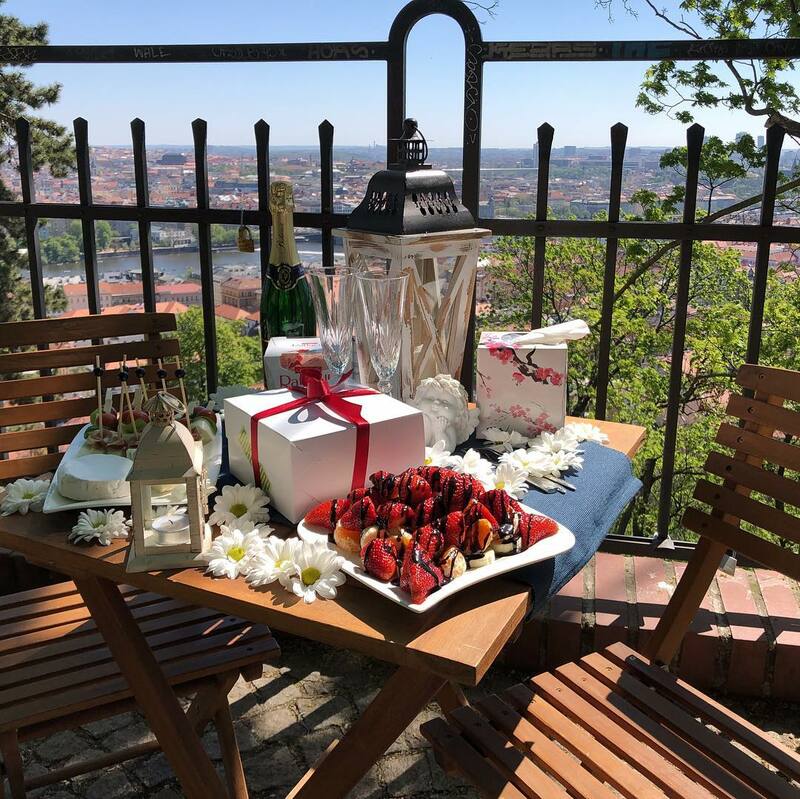 Nikolay surprised his wife on her birthday today. 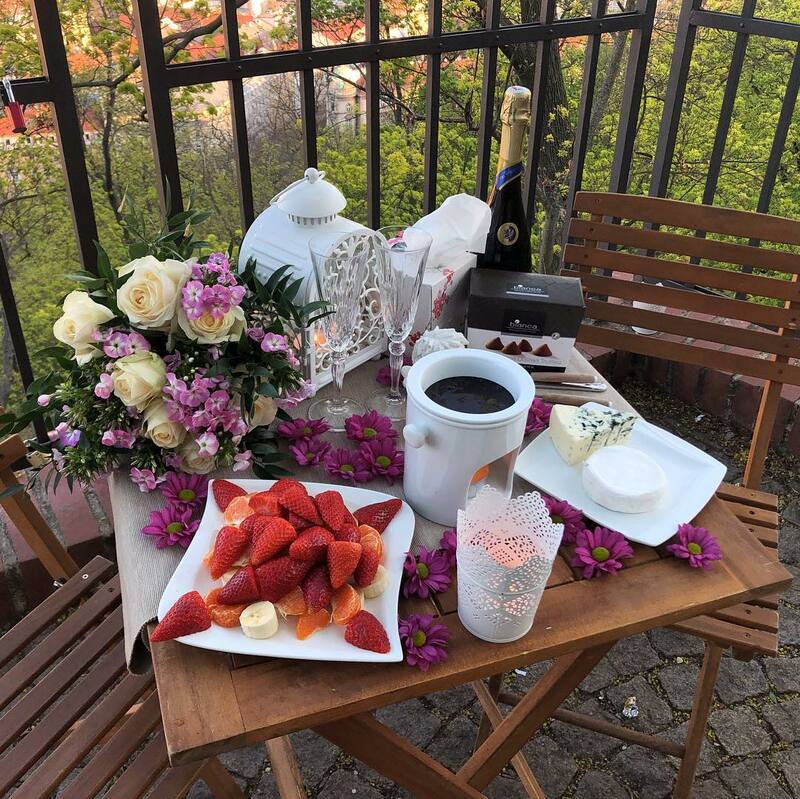 This one was prepared for Javier and his girlfriend. 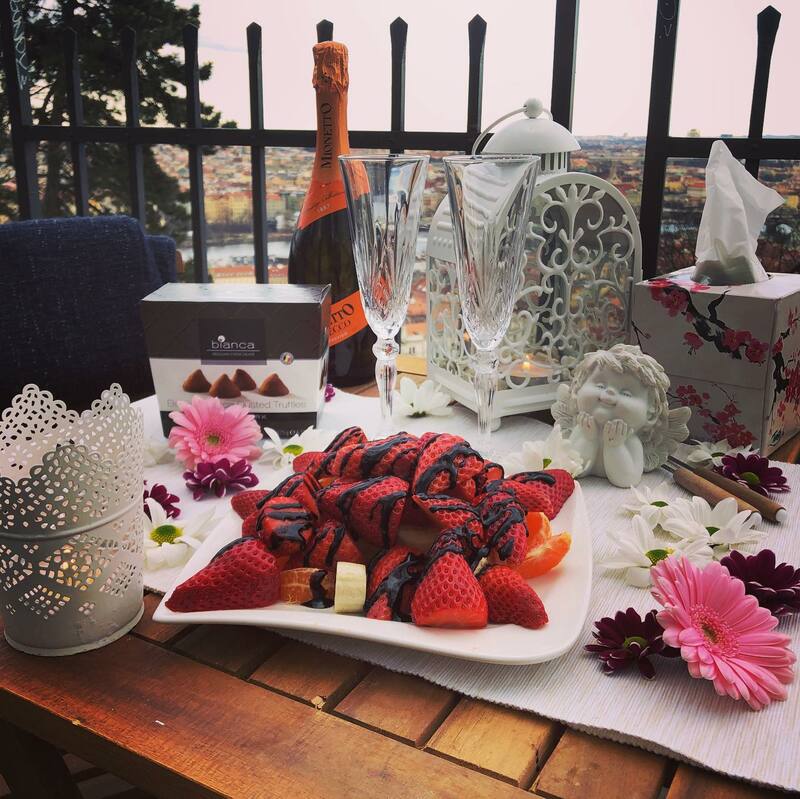 Two hours later Serge proposed to his beloved. 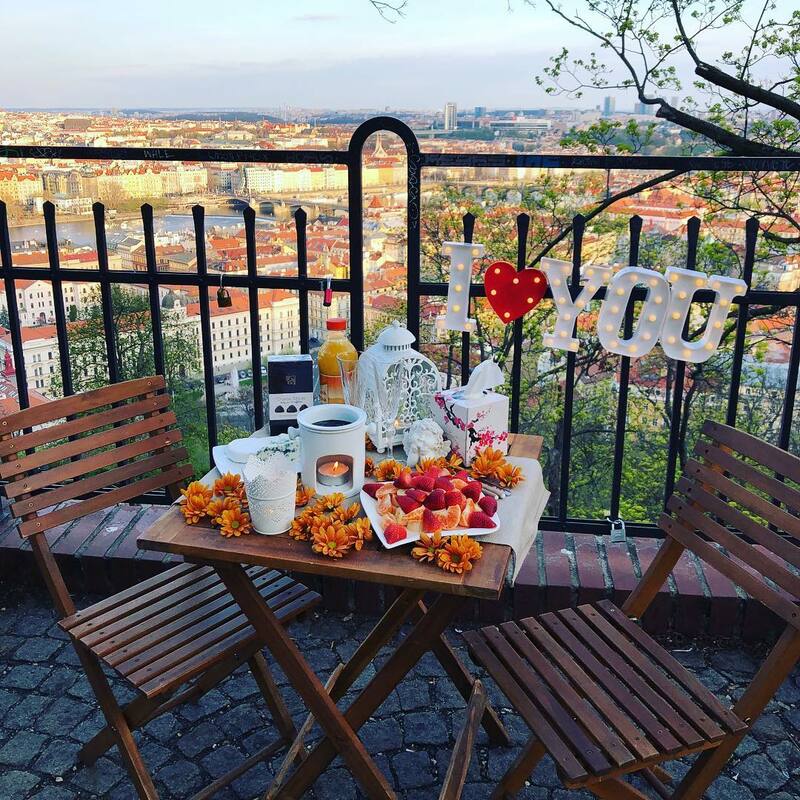 Two years ago Chen came to Prague with his girlfriend, and I prepared an amazing proposal for them. 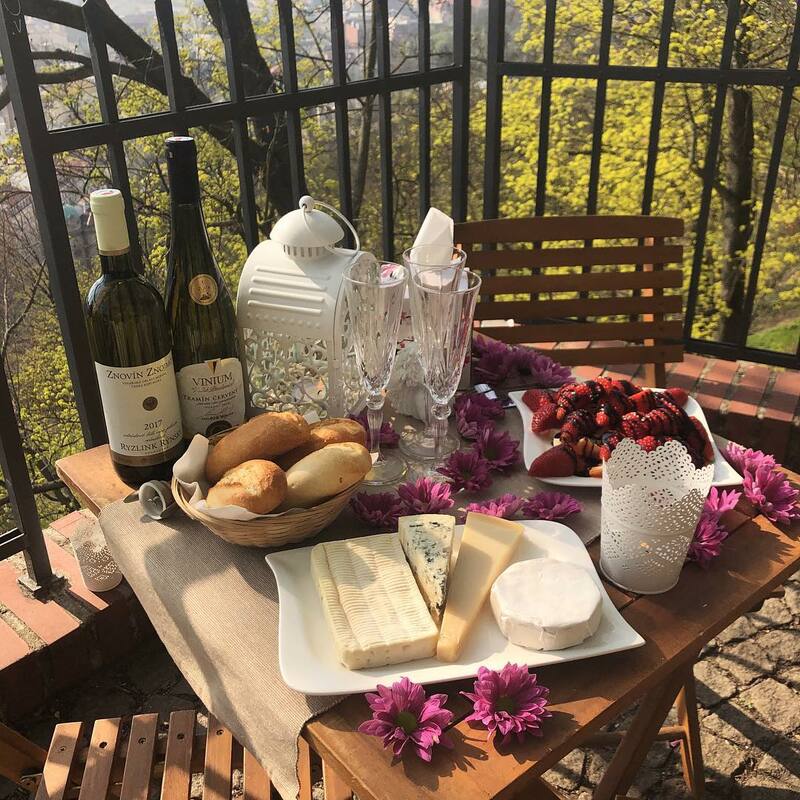 This time Chen surprised his wife with a picnic. Next was Jamil, and I happened to witness his beautiful proposal as I filmed it with a drone. 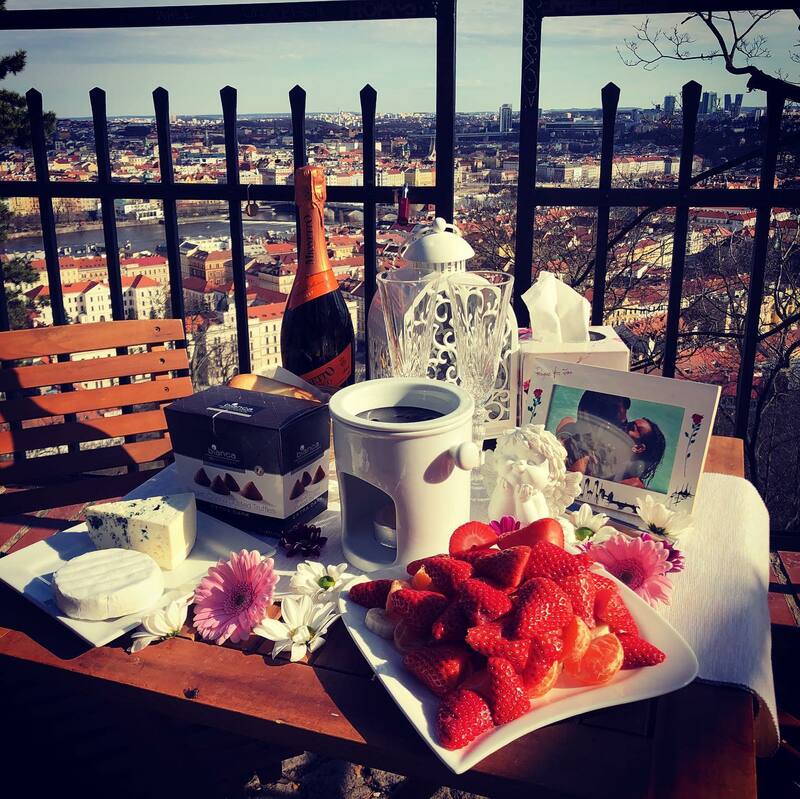 On the other side of Petrin Hill Jamil’s friend Fahim was also surprising his girlfriend. 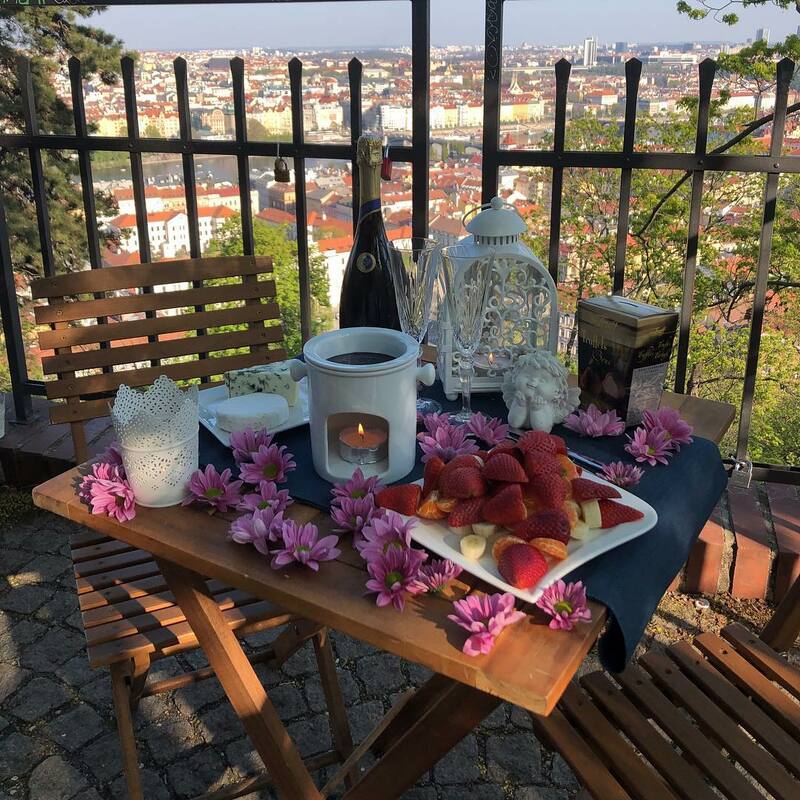 The evening ended with Jordan’s proposal, that happened seconds before the sun set over Prague. 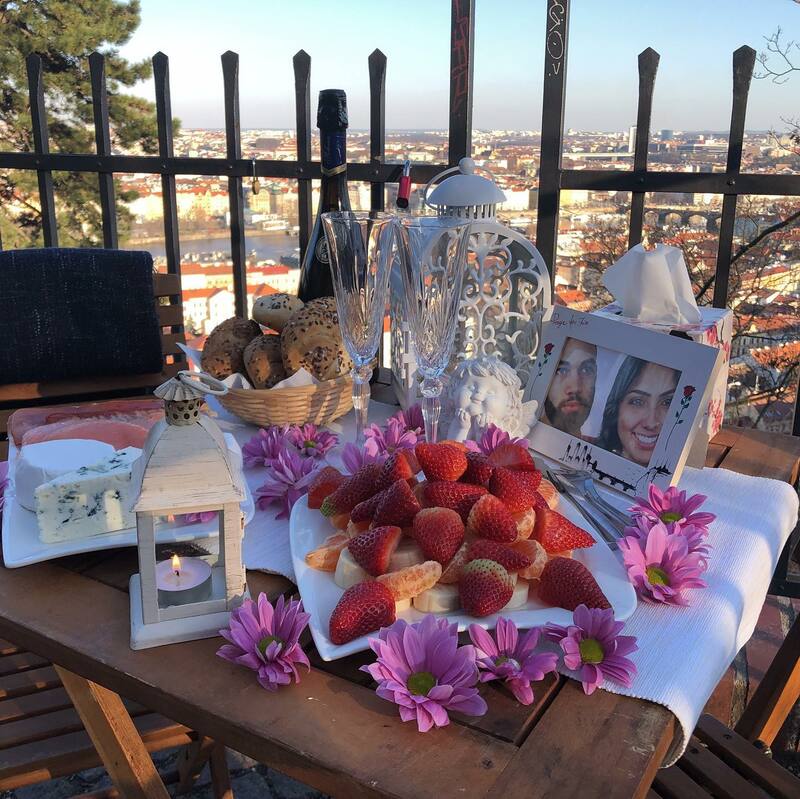 This romantic surprise was prepared for Ugur, who came to Prague for only a couple of days, and decided to propose to his beloved. 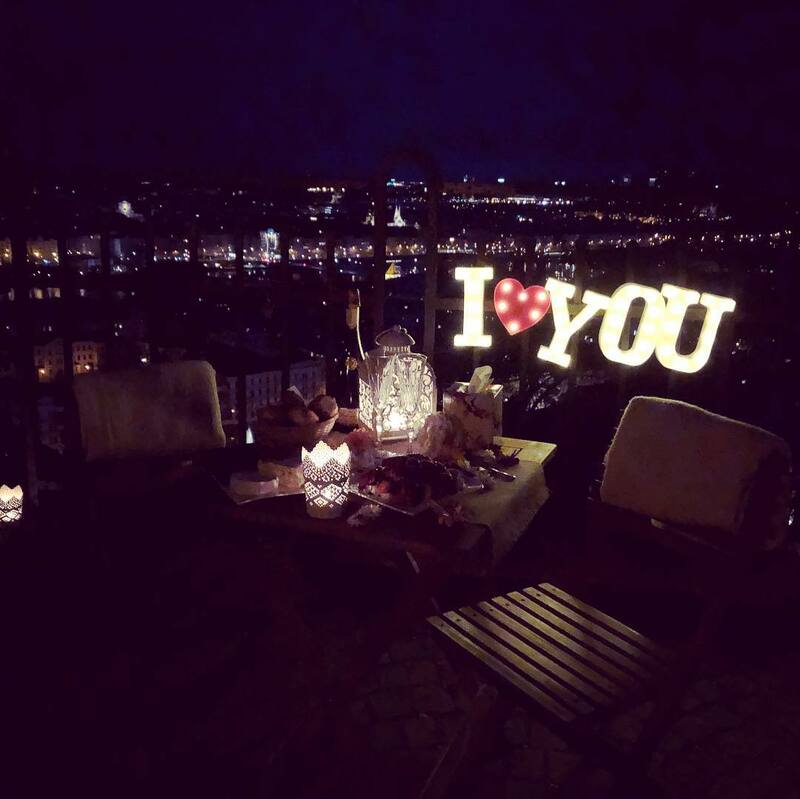 Sergey also proposed to his beloved this evening. 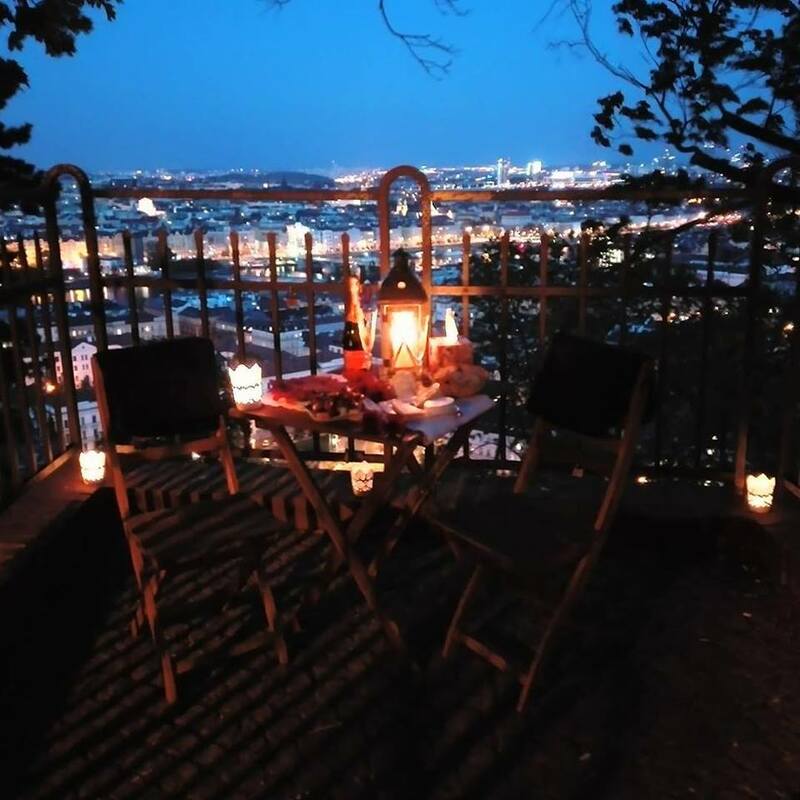 Another proposal this evening was for Rob and his beloved. 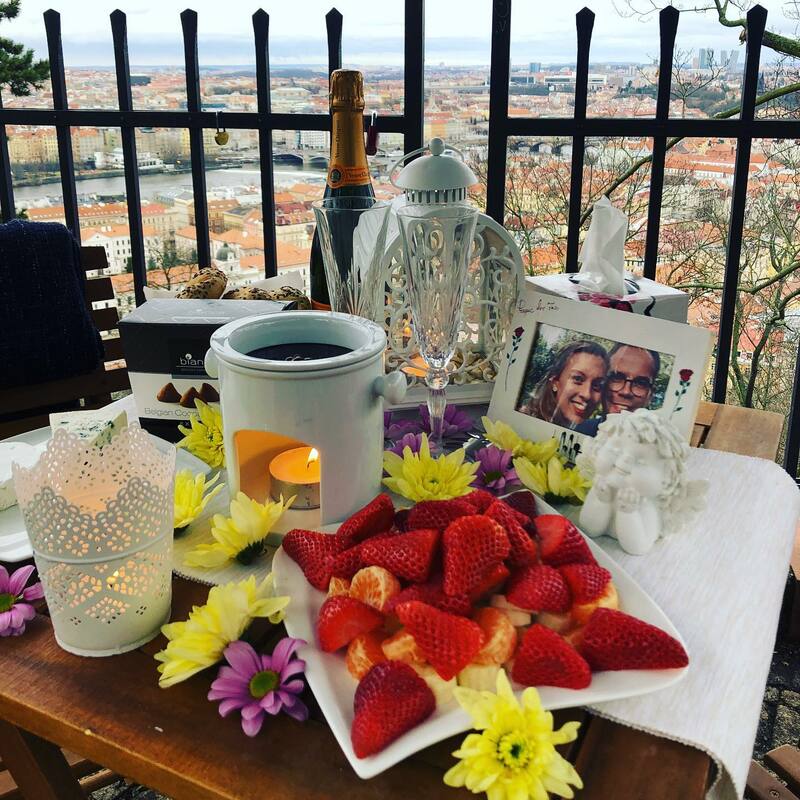 Raha surprised his beloved with a proposal in Prague. Had a whole camera crew to film it, and a saxophone player to create the atmosphere. 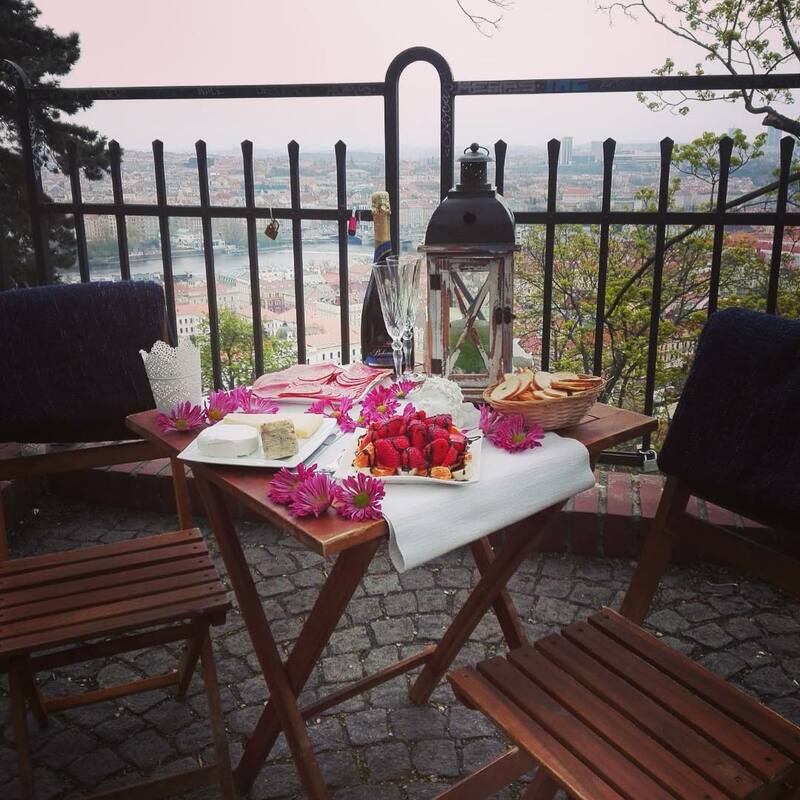 Two hours later Jerome brought his beloved to Petrin Hill to propose to her. 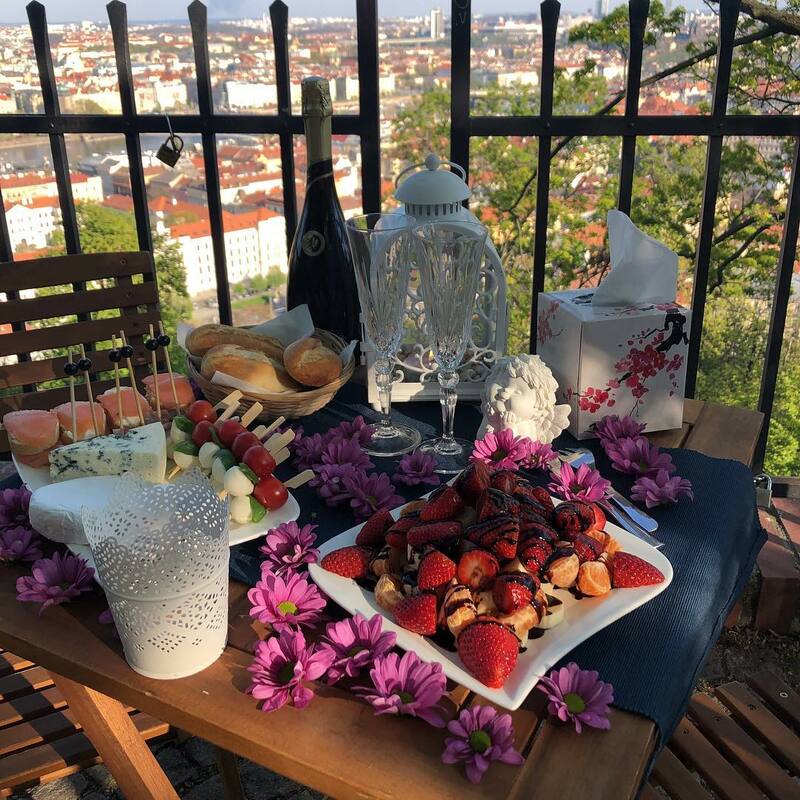 Adam proposed to his beloved with a romantic setting including the famous chocolate fondue, fruit, cheese and a bottle of Bohemia Sekt Prestige sparkling wine. 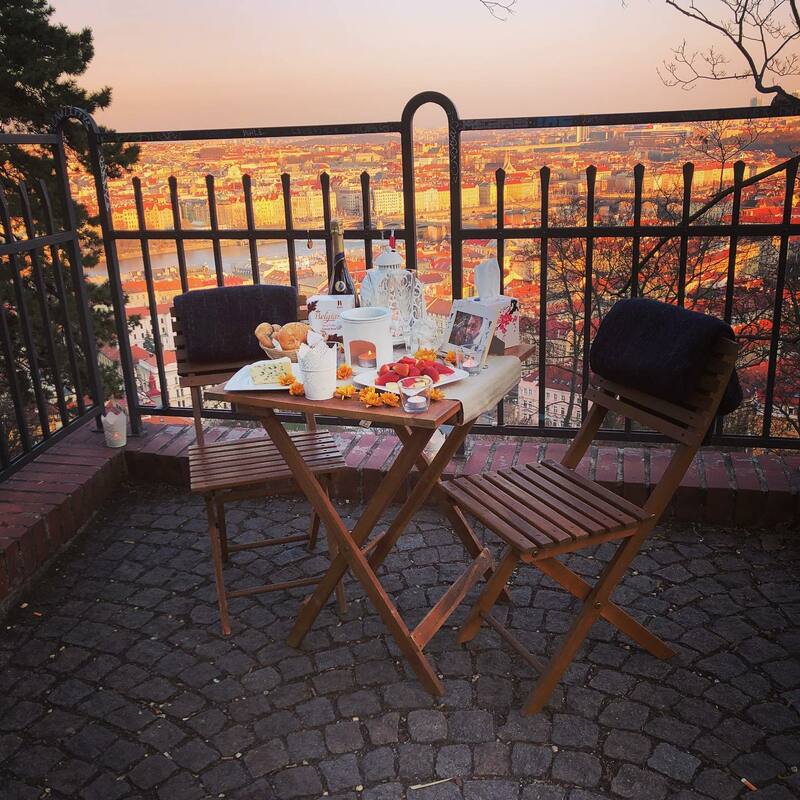 Two hours later Maxim brought his beloved to the same spot to propose to her. 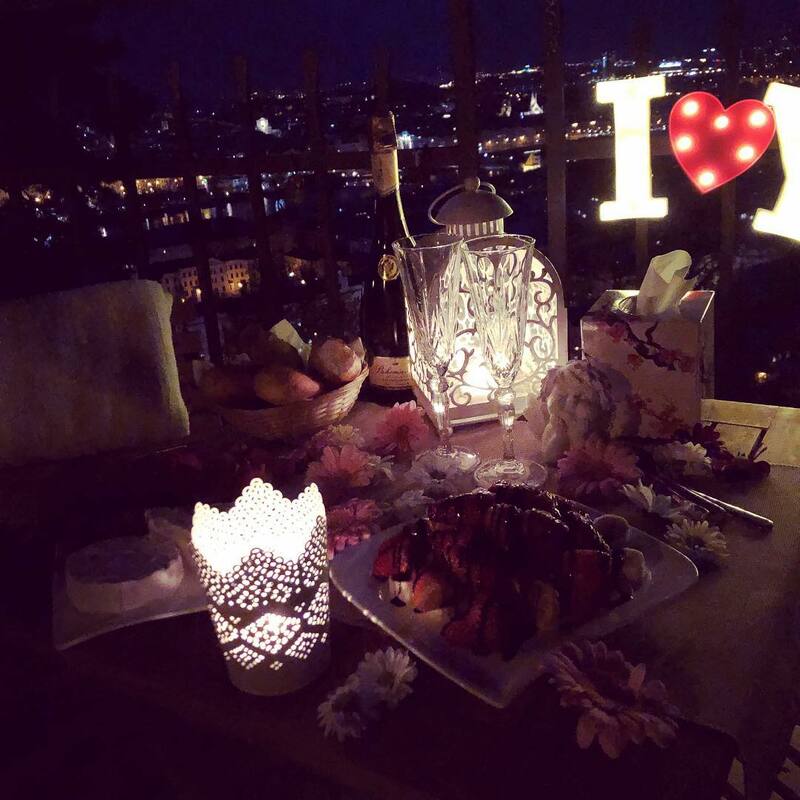 Roman proposed to his beloved this evening. 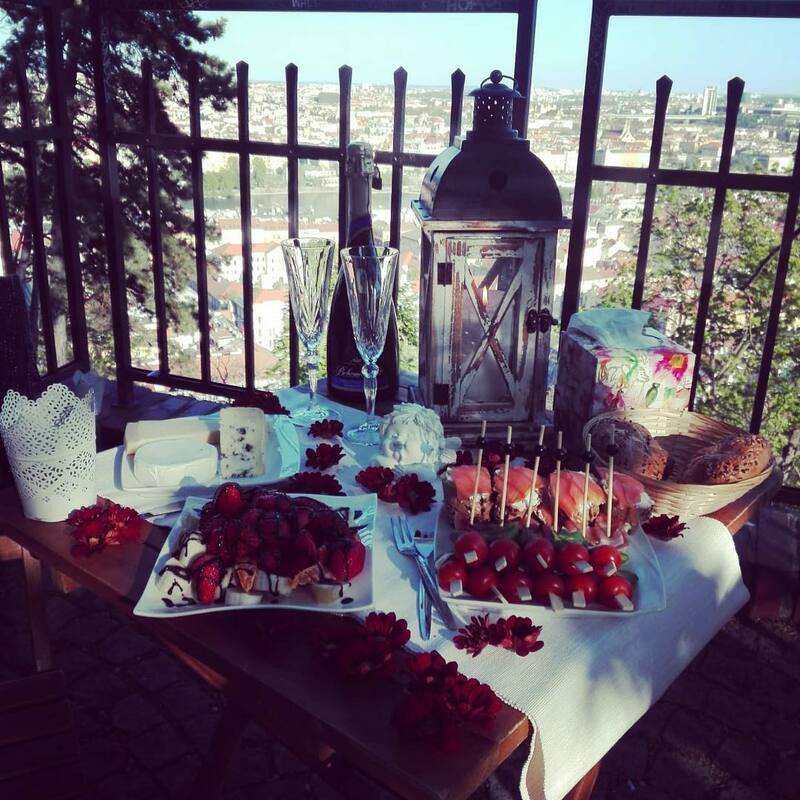 On the table: canapés with smoked salmon, mozzarella and cherry tomatoes, prosciutto with melon, cheese, a plate of fruit under chocolate topping and a bottle of Bohemia Sekt Prestige sparkling wine. 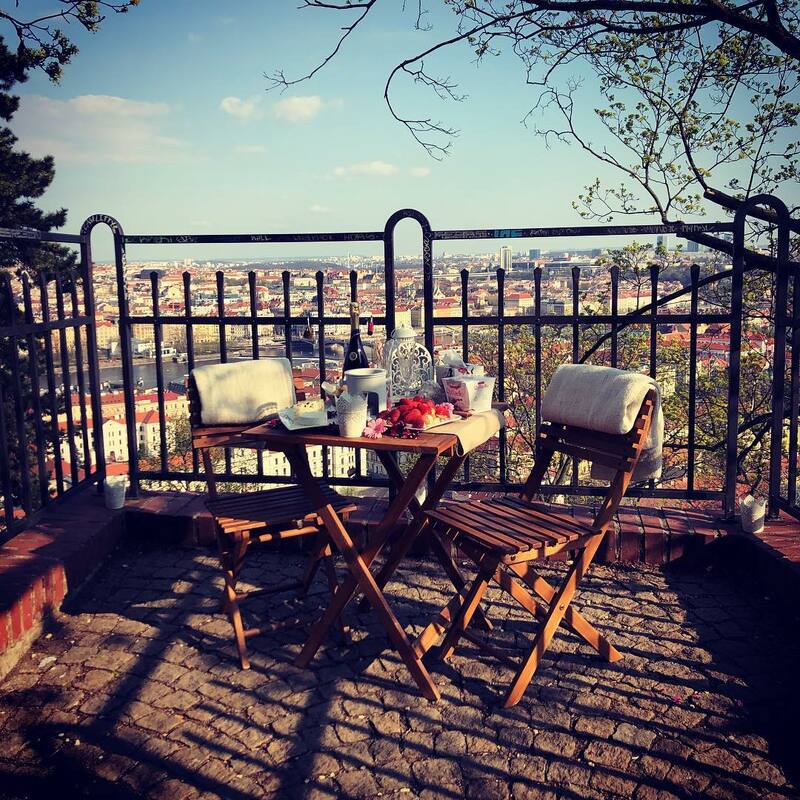 And Prague at her finest. 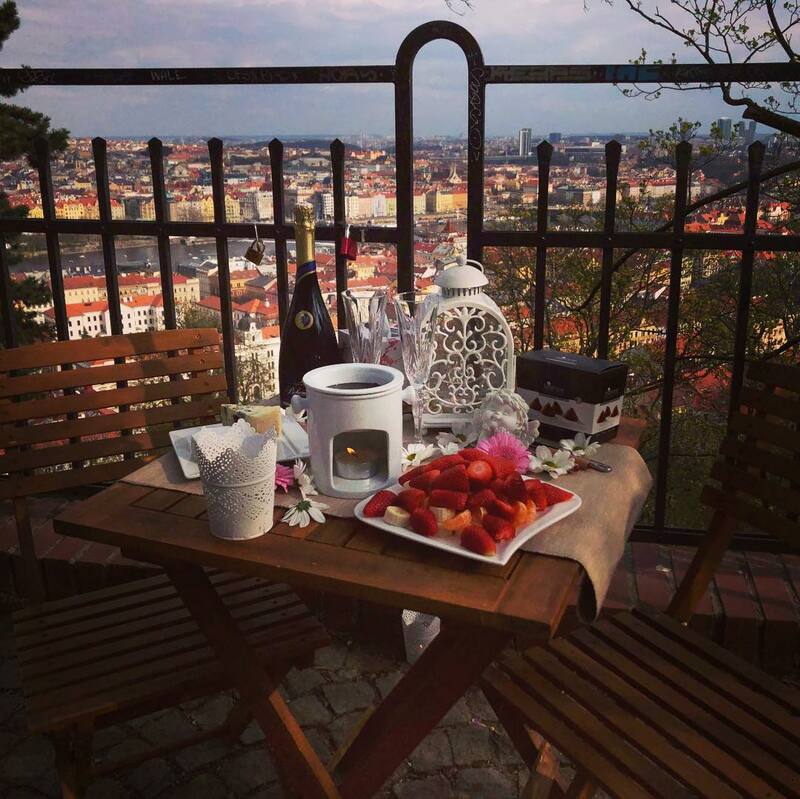 Sandra surprised her beloved with a romantic daytime event. 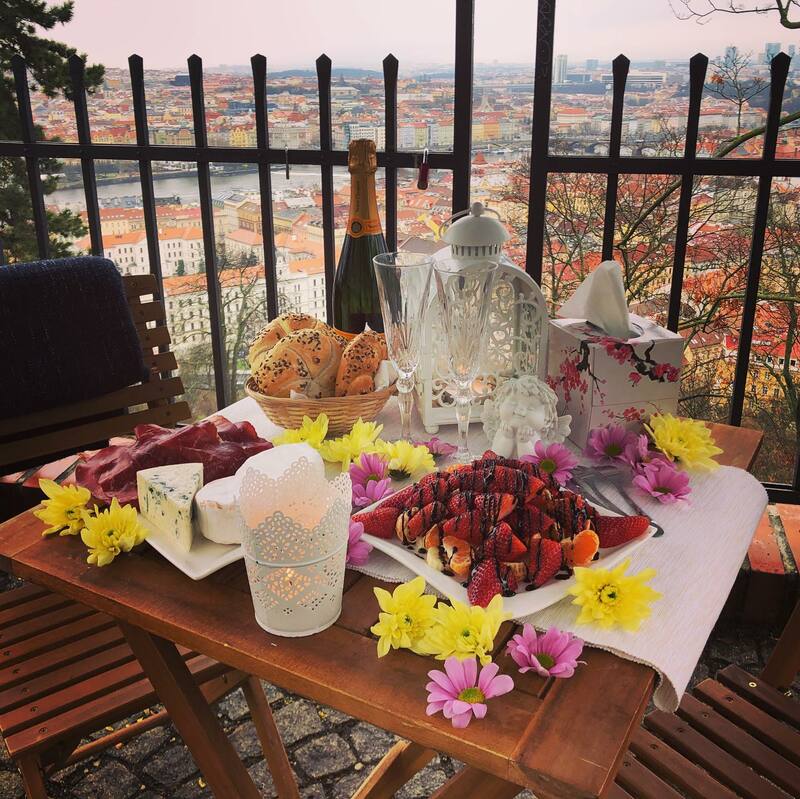 Benedict proposed to his beloved in Prague this evening. 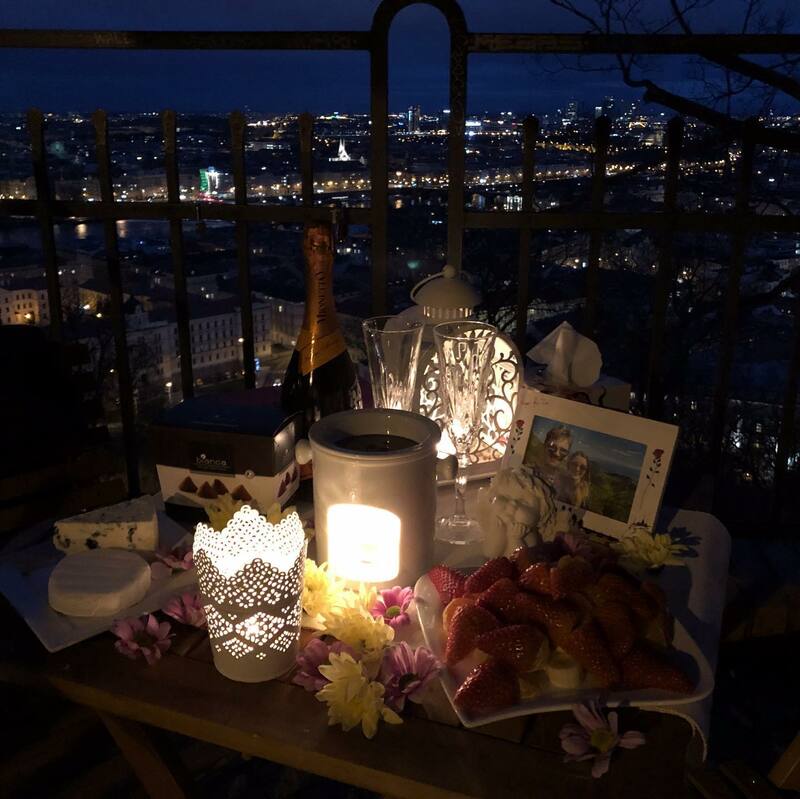 Martin and his girlfriend have spent an amazing evening in Prague. 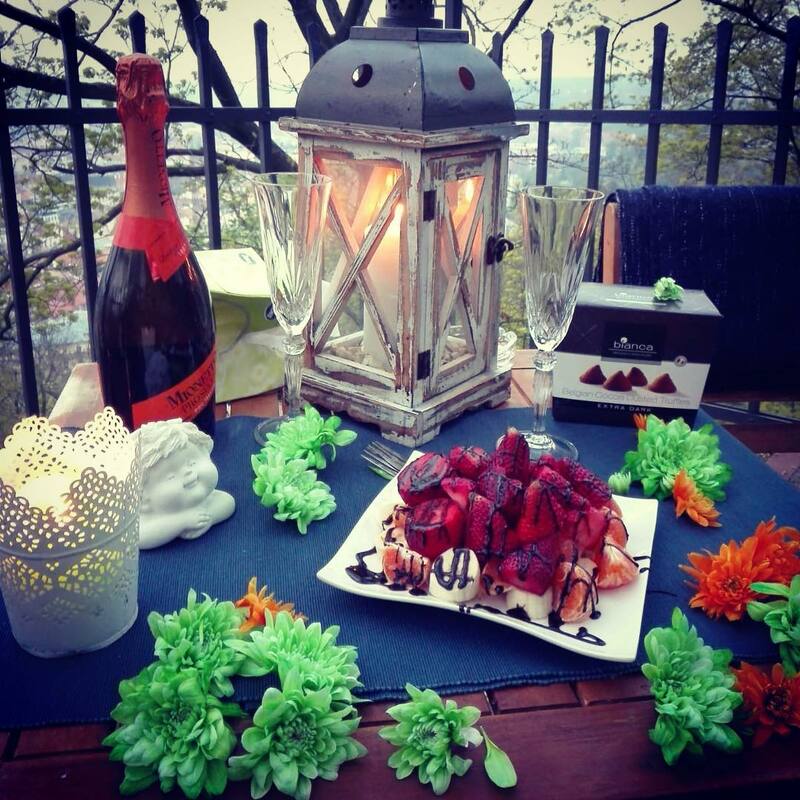 Stefan surprised his girlfriend with a romantic sushi dinner. 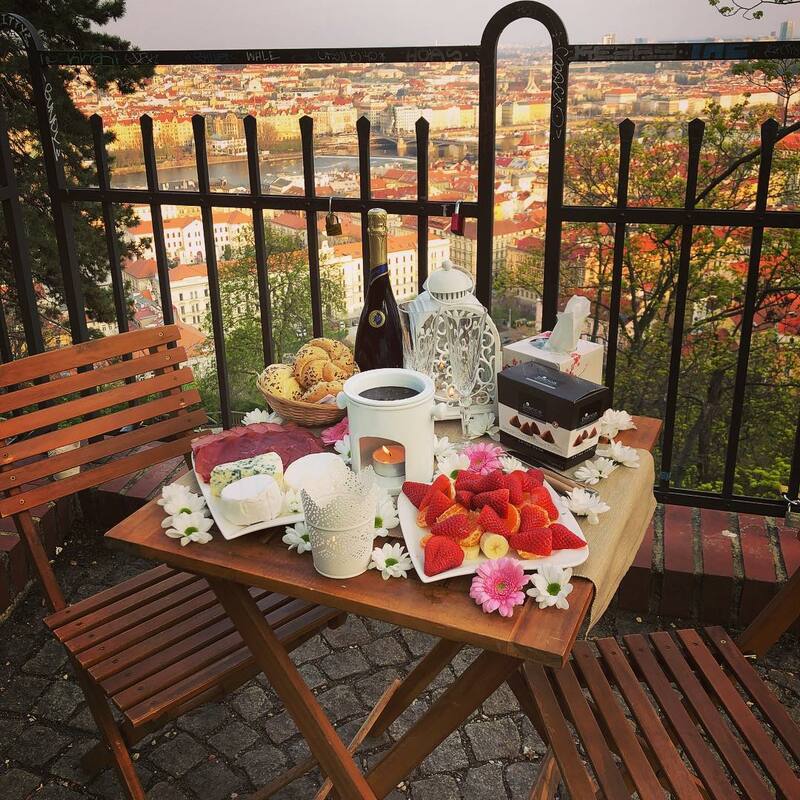 Laura was also surprising her beloved in Prague. 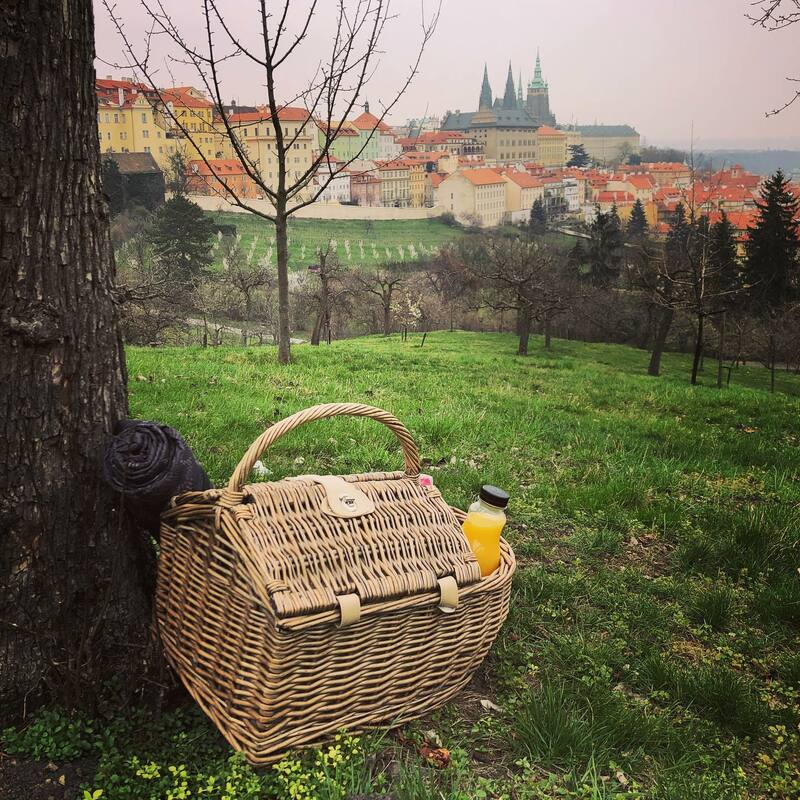 A surprise picnic waiting for Julia and her beloved. 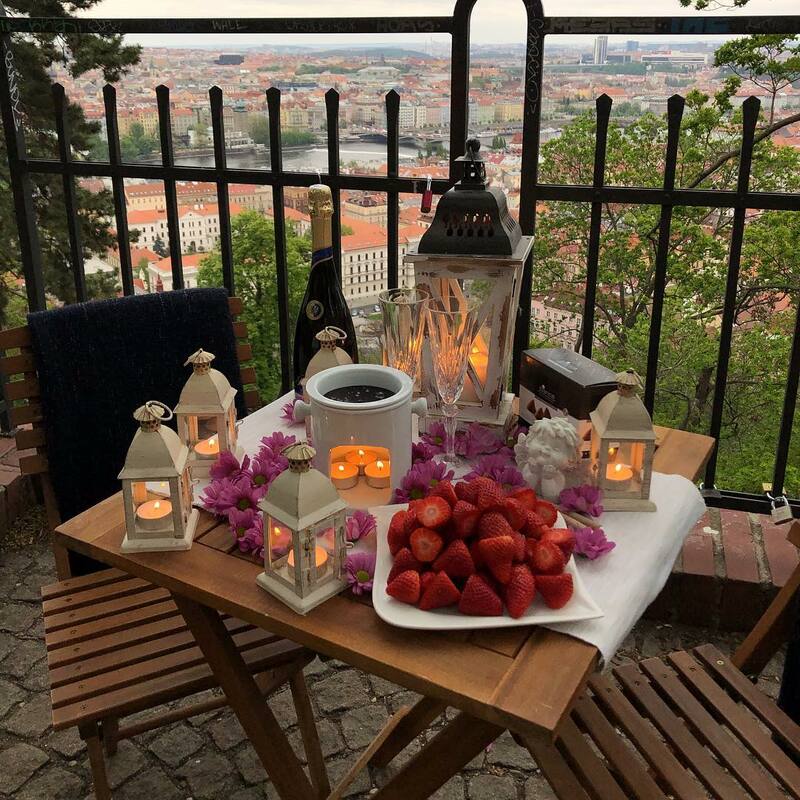 Tahoe surprised his wife with a romantic evening in Prague. 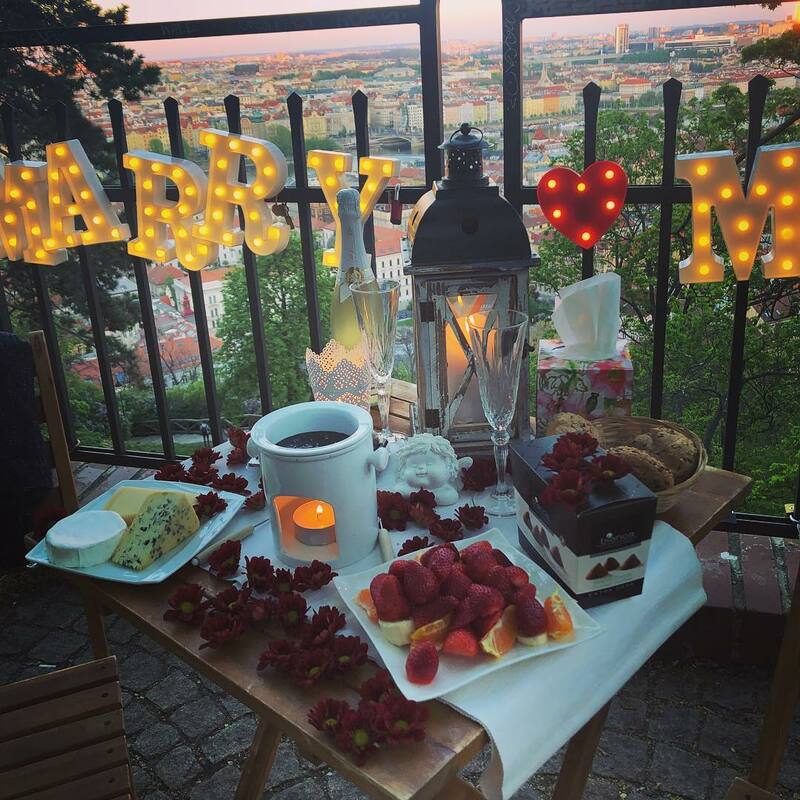 A proposal setting for Artur and his girlfriend. 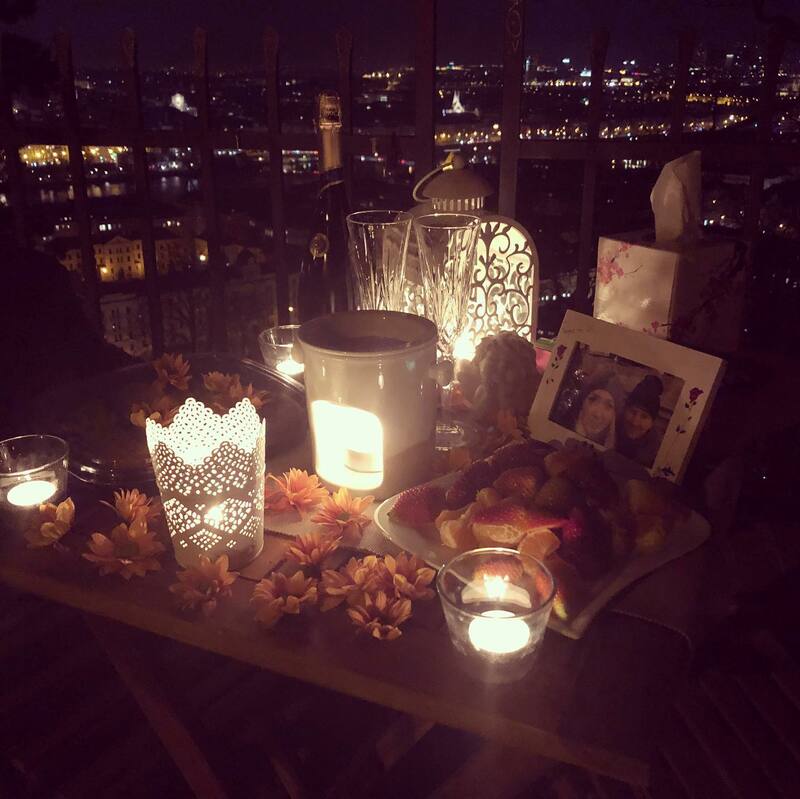 Maryan was next to propose this evening. 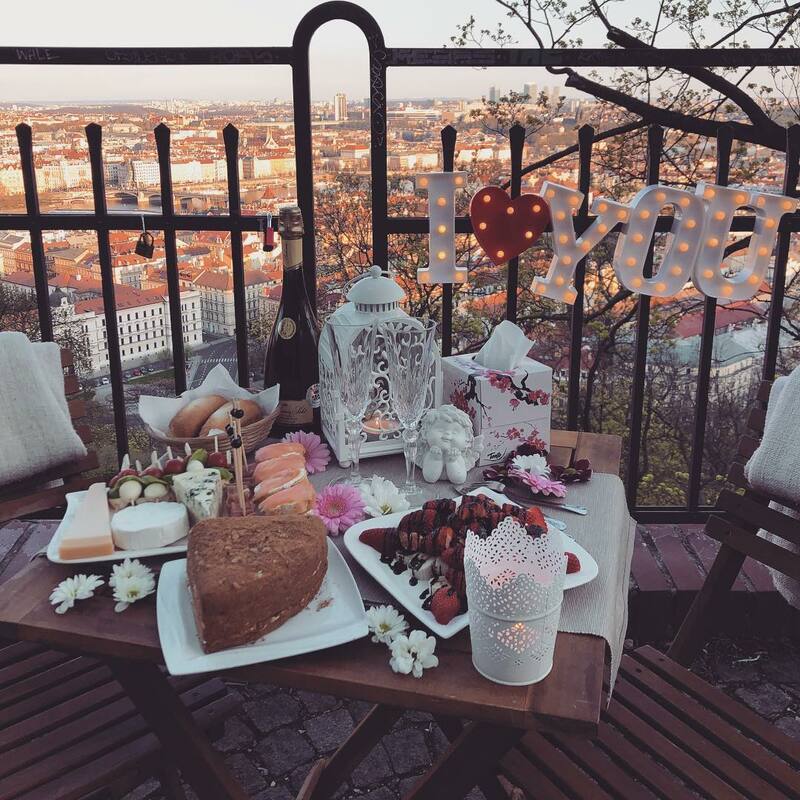 Tom surprised his boyfriend Caleb on their last night in Prague with this romantic evening. 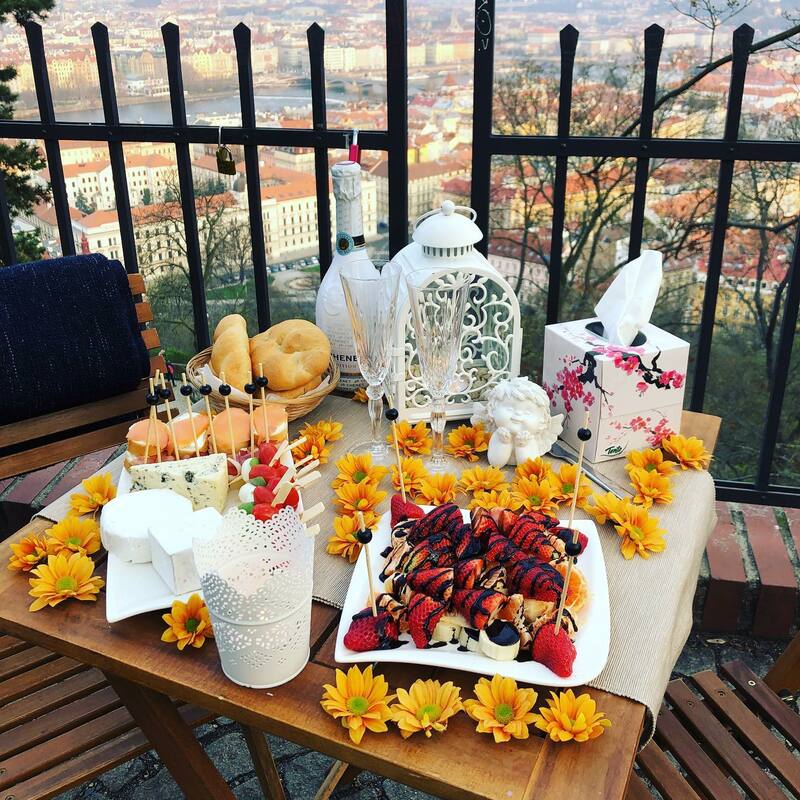 Louis proposed to his beloved in Prague. 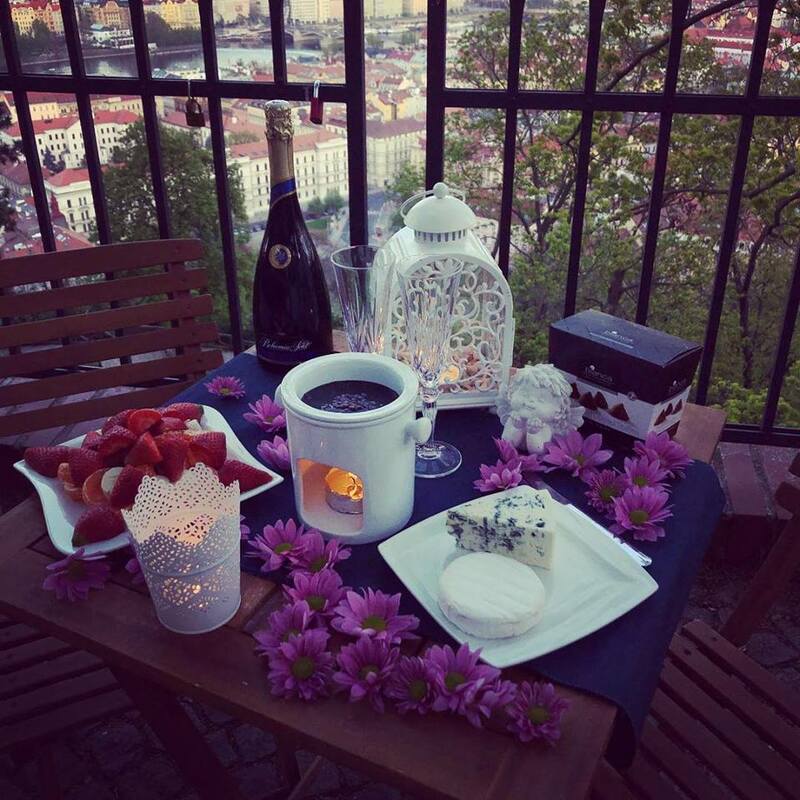 Prague has ‘romance’ written all over it, so Zainab surprised her girlfriend with a romantic evening too! 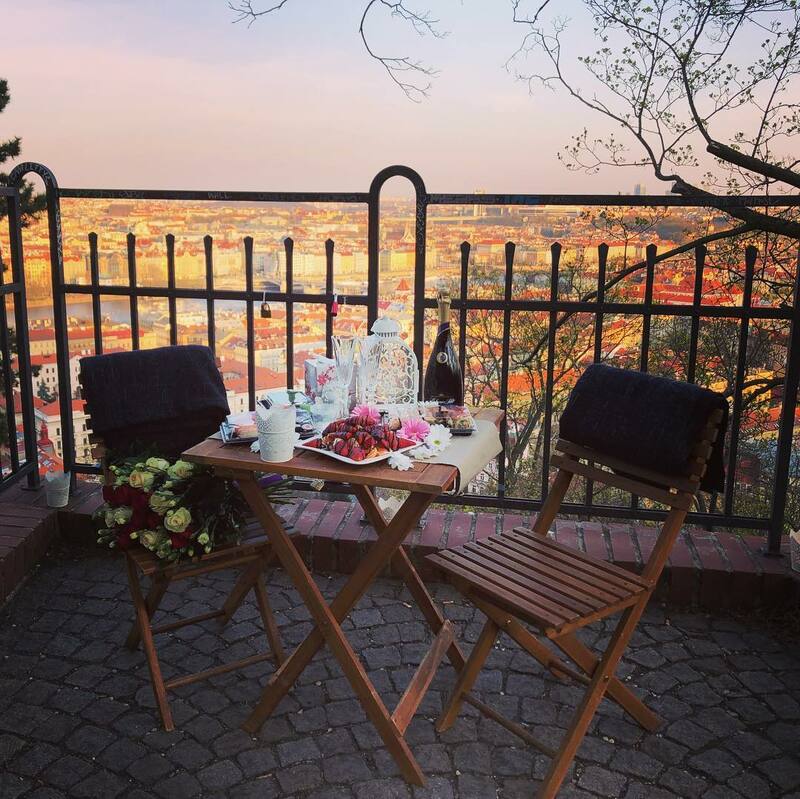 Brian had also proposed to his beloved on this beautiful evening in Prague. 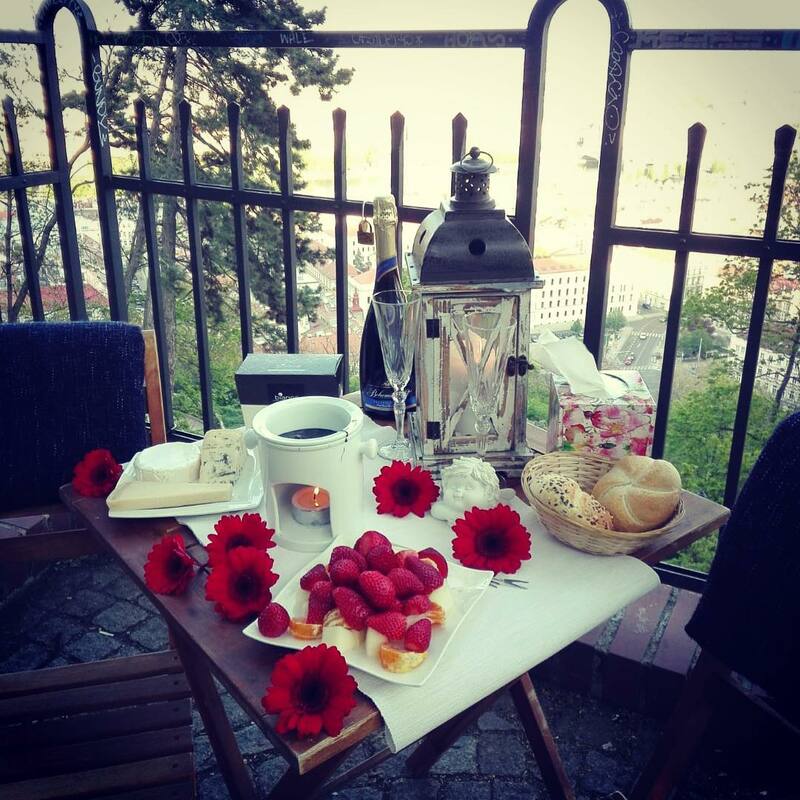 Olga surprised her husband in the middle of the day with a romantic birthday celebration. Jeff proposed to his girlfriend, who for the first time in her life forgot her mobile phone to capture the moment. 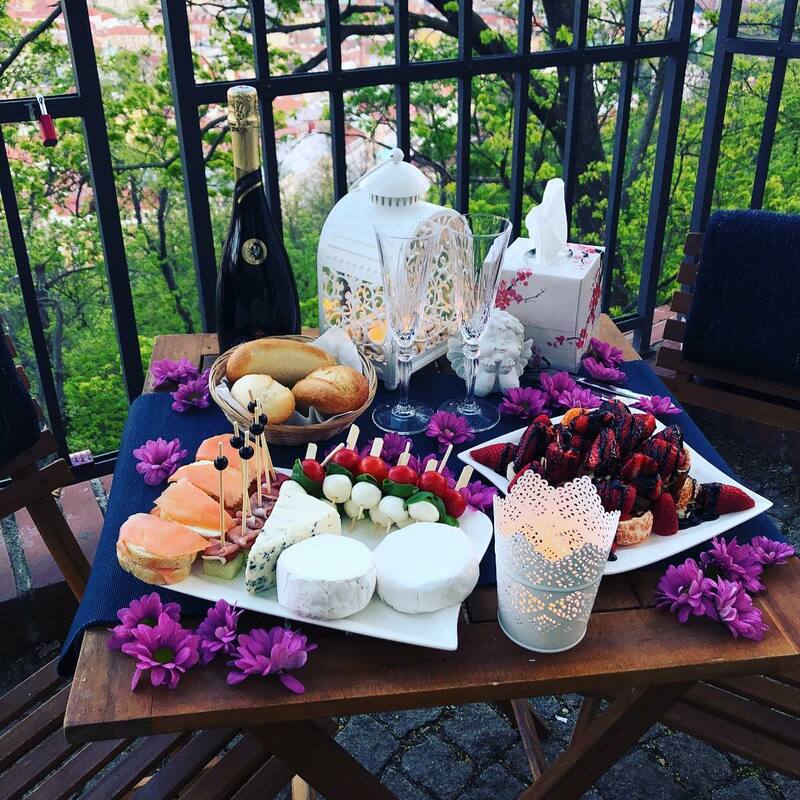 Faisal surprised his beloved with a romantic sushi dinner. 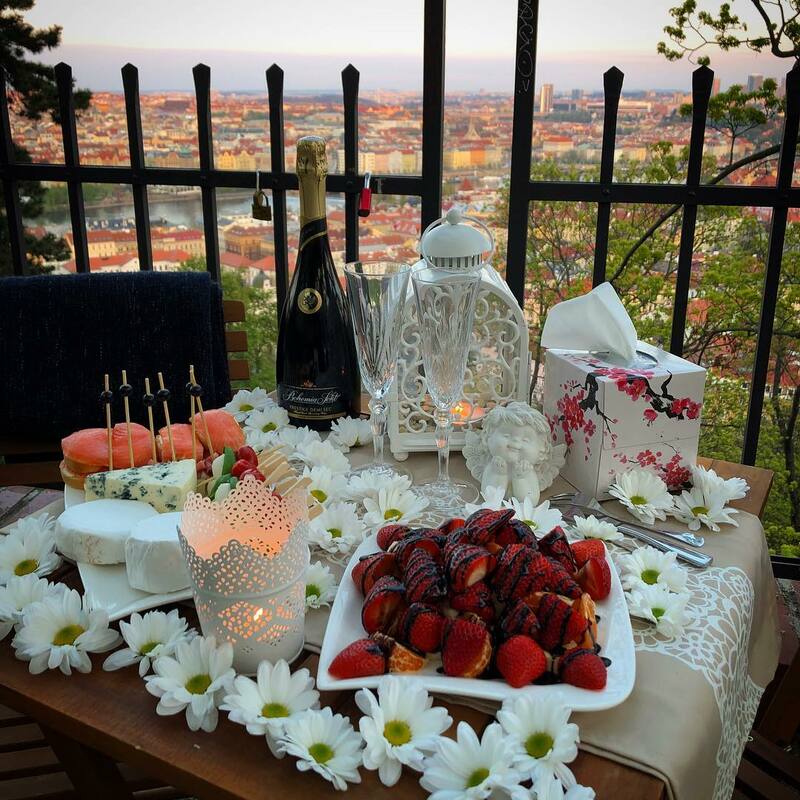 Drazen surprised his beloved with a romantic dinner and a wonderful proposal I got to film with the drone. 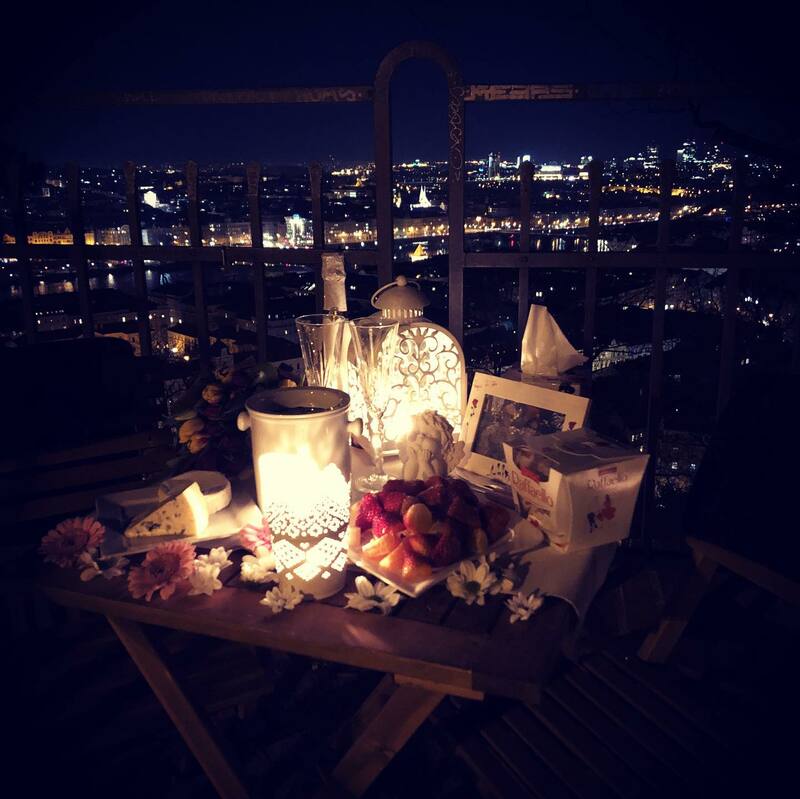 Another proposal happened in Prague that night. 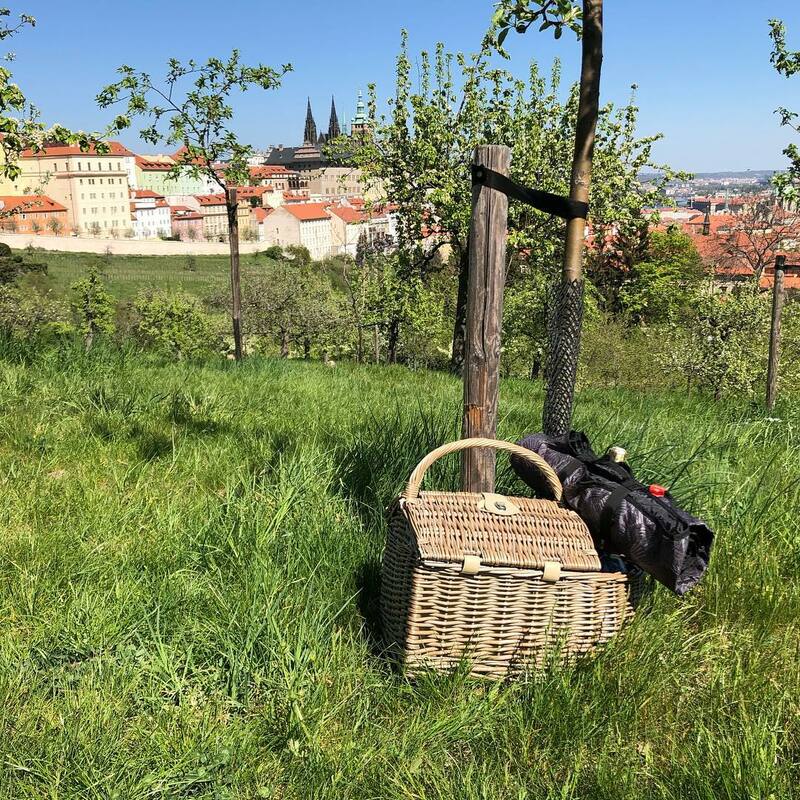 The first surprise picnic this year happened to be for Nicla and her beloved. 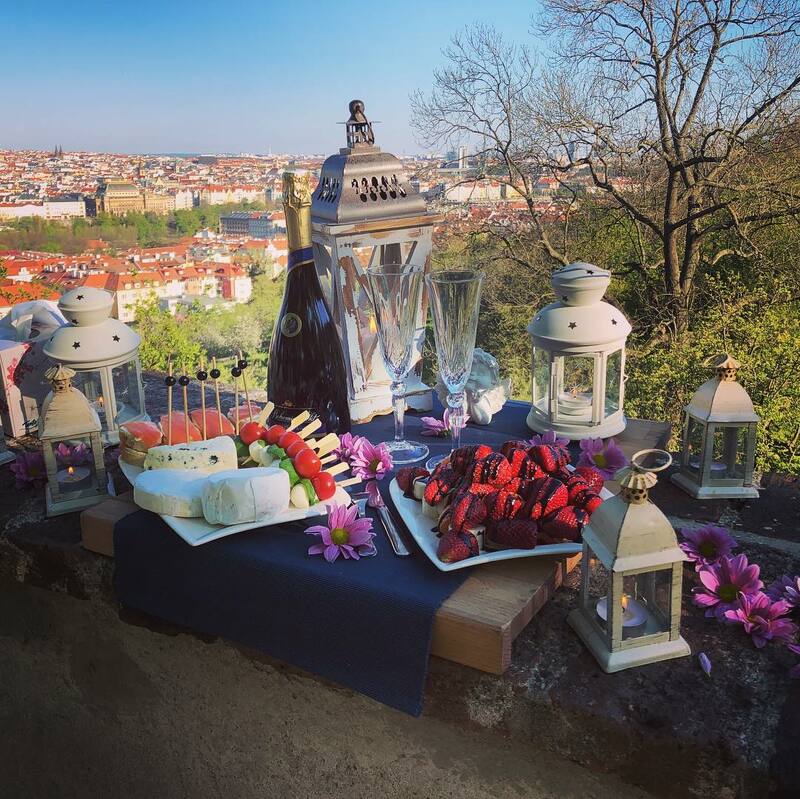 Hugh surprised his beloved in Prague with an amazing proposal dinner. 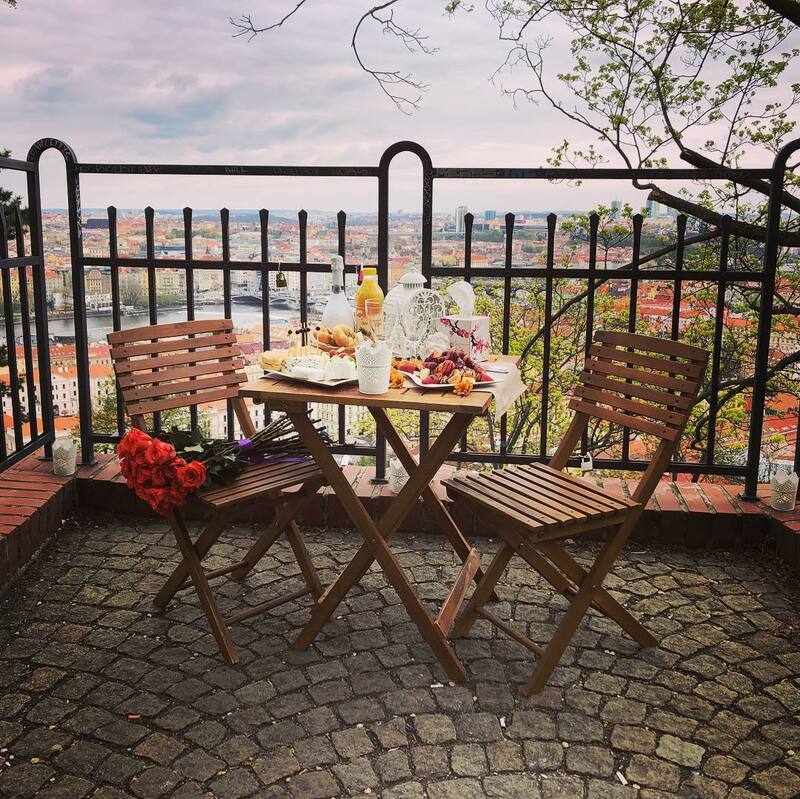 Another beautiful proposal happened in Prague. 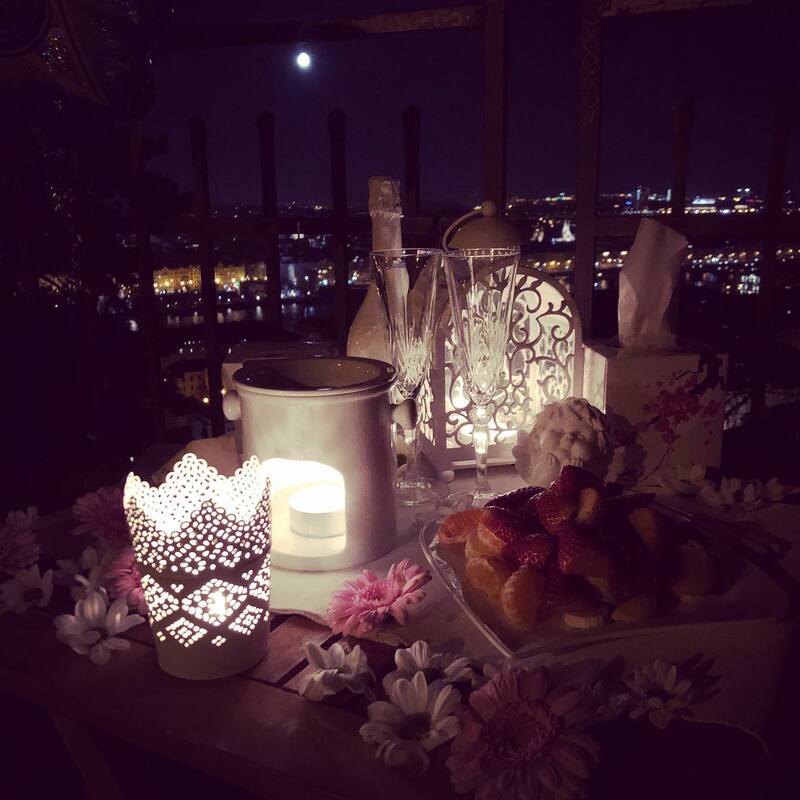 Florent had also proposed that night. 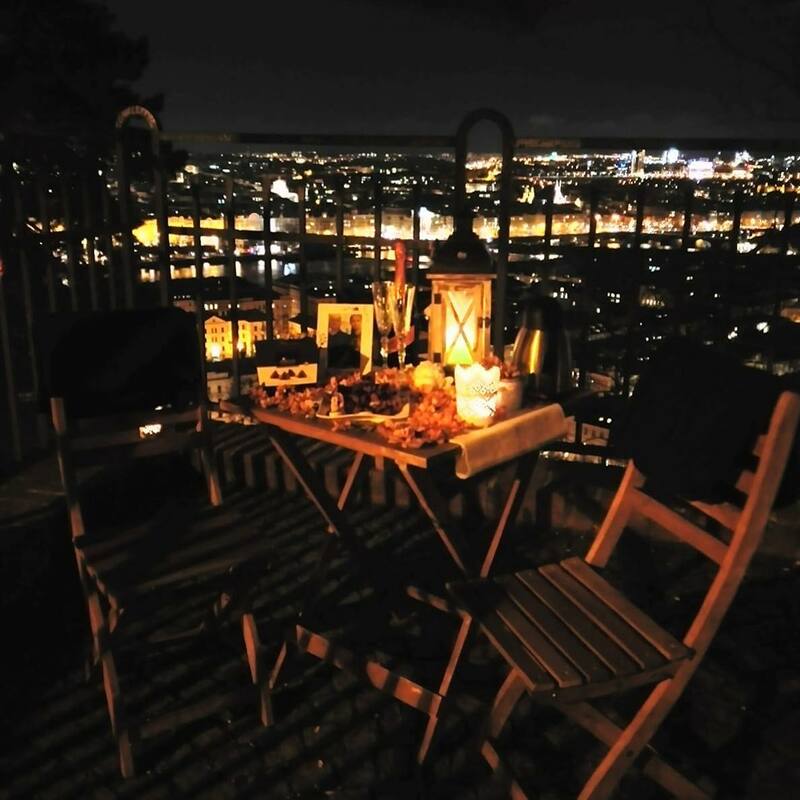 Hermann proposed to his beloved this night. 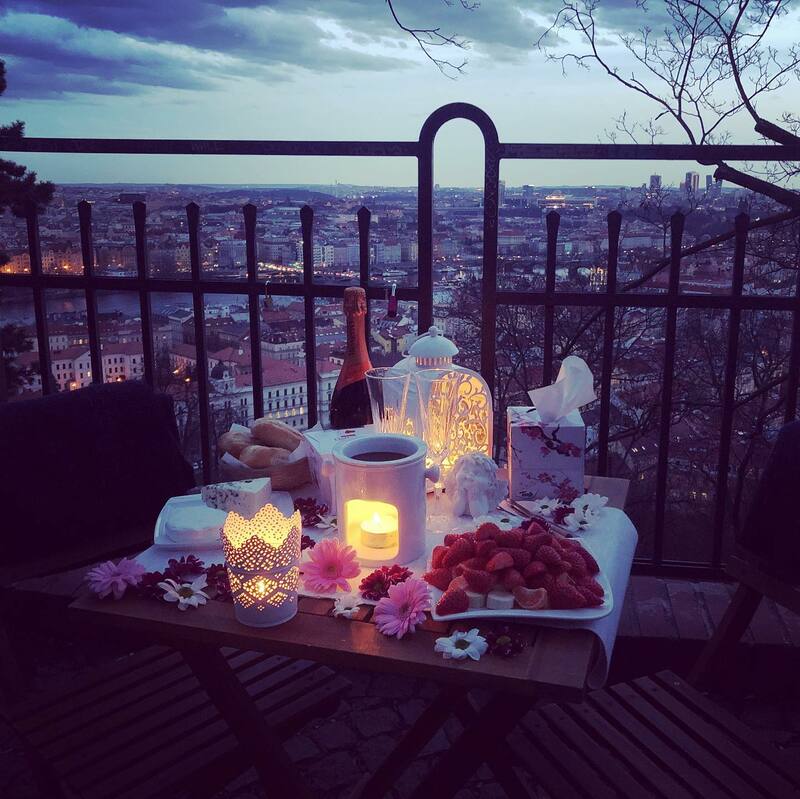 Two hours later Sam arrived to the same location to propose to his girlfriend. 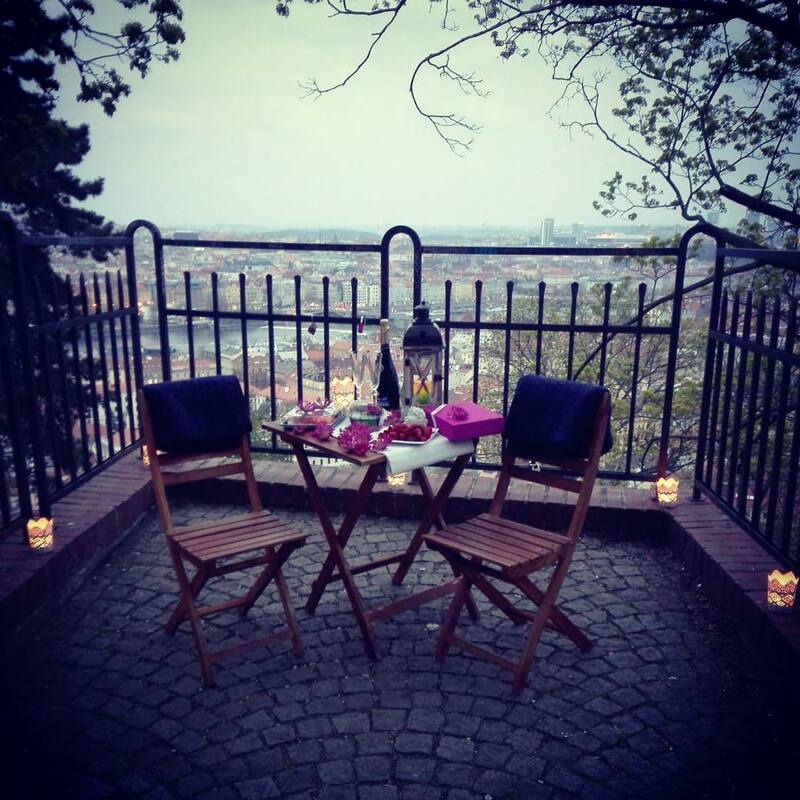 Eleonora surprised her boyfriend on his birthday with a romantic evening in Prague. 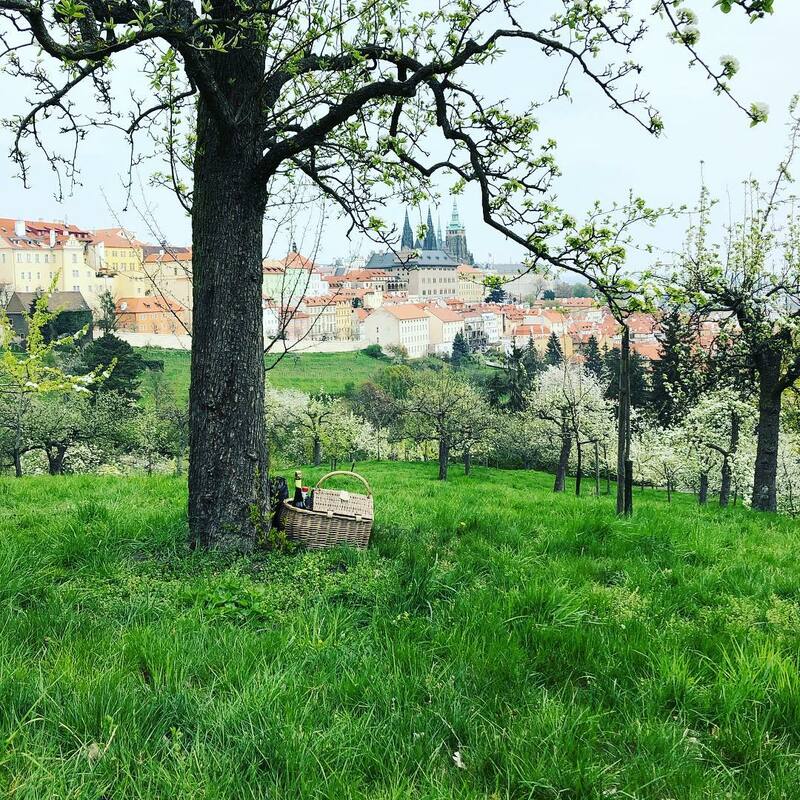 Cameron proposed to his beloved on Petrin Hill. 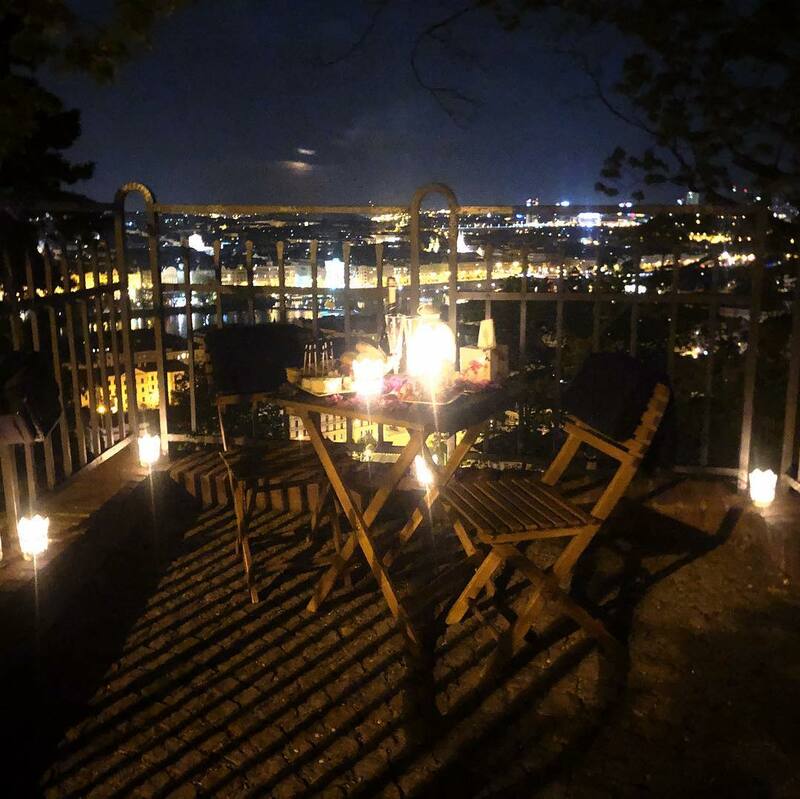 Ville proposed in Prague on this beautiful, quiet evening on Petrin Hill. 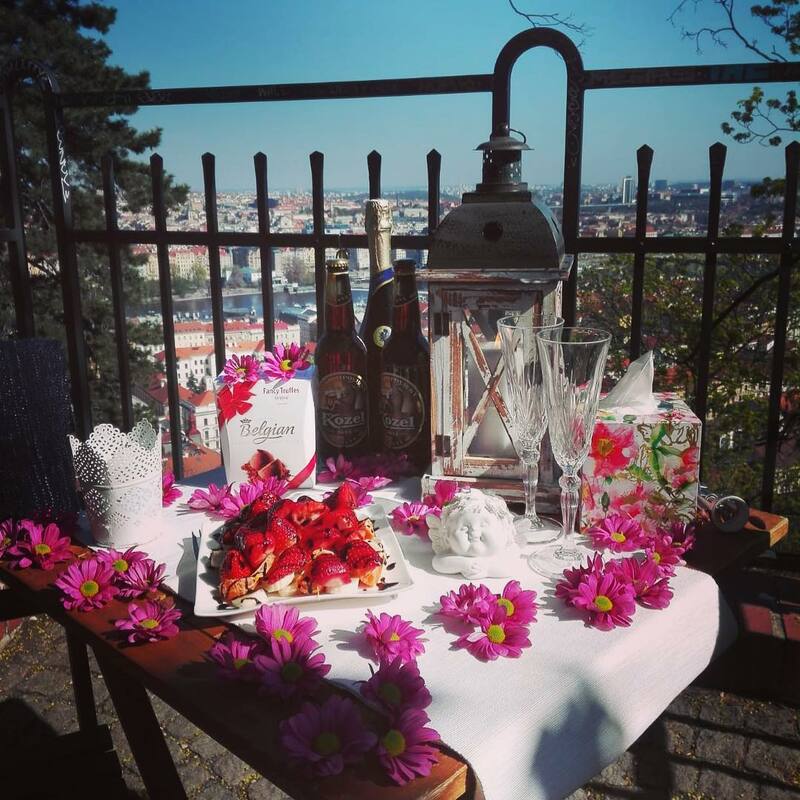 Domenico proposed to his beloved in Prague. 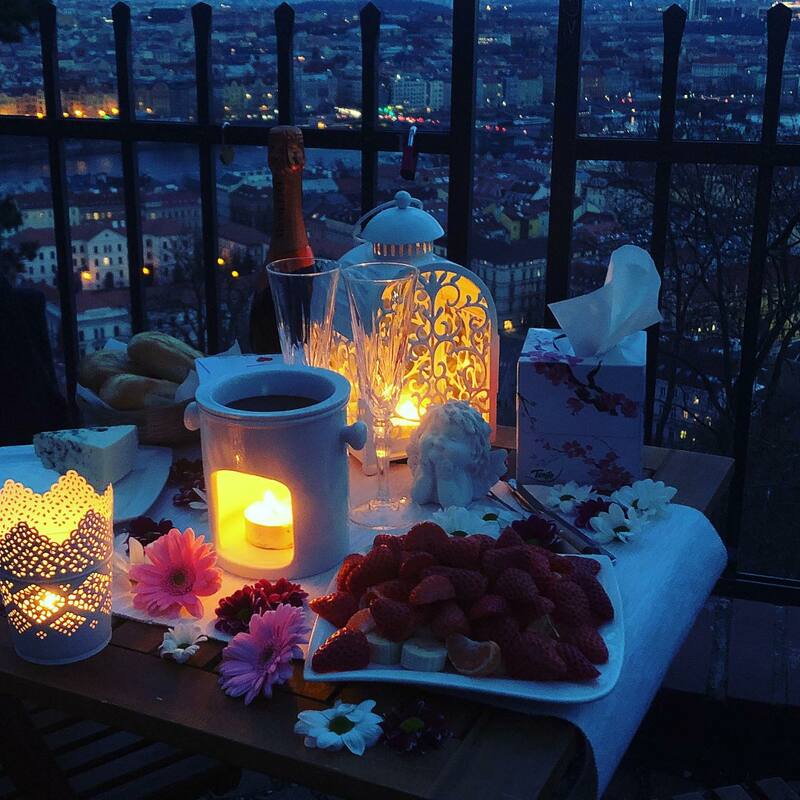 Dhruv was also proposing that evening. 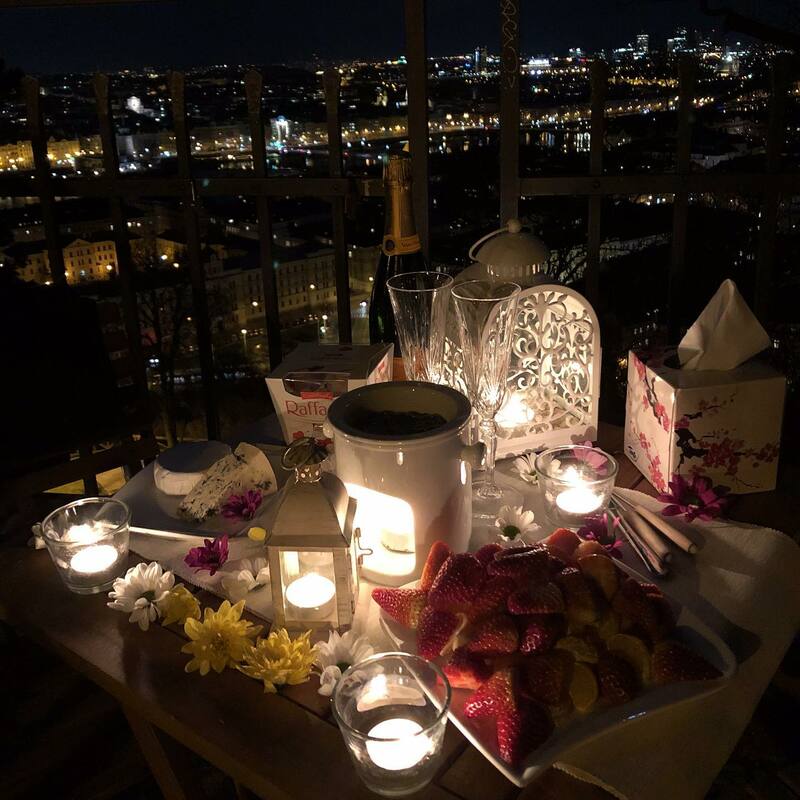 Sun was almost down, and Nikita was about to arrive and surprise his girlfriend. 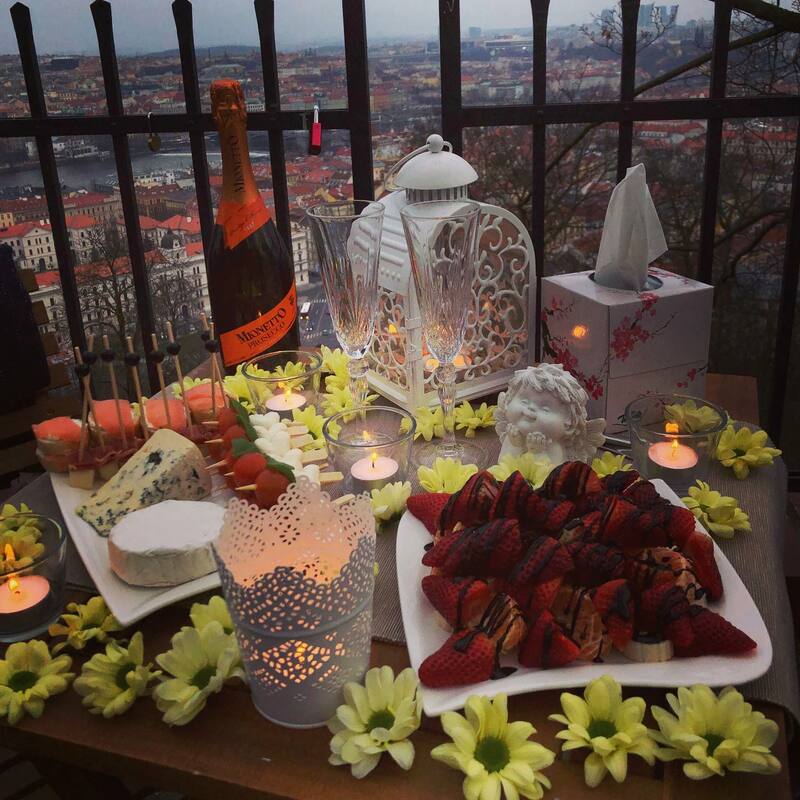 Remi surprised his beloved on a rainy Prague afternoon. 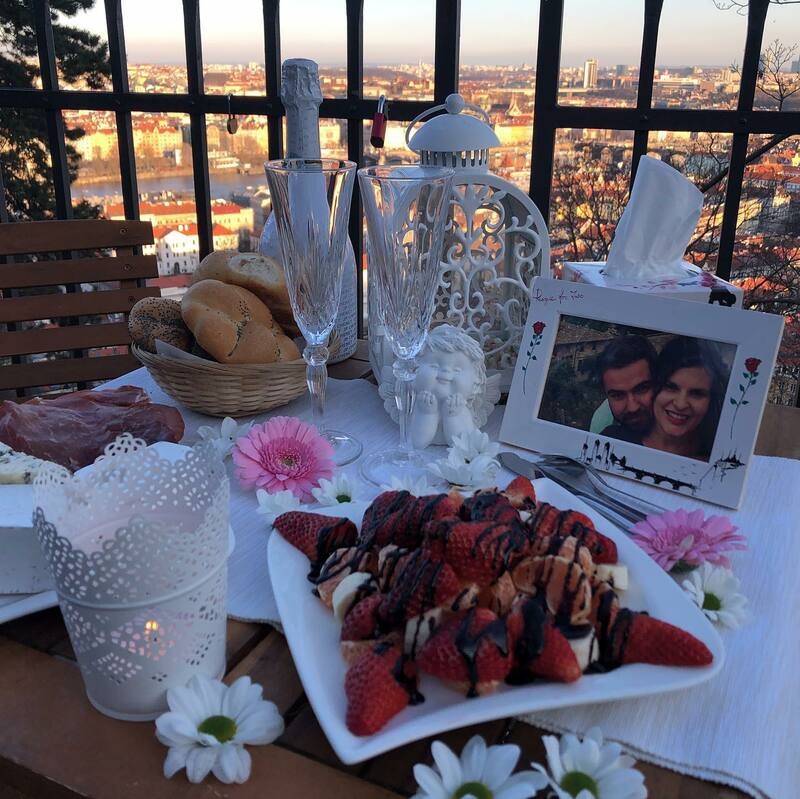 Liviu also proposed to his beloved in Prague! 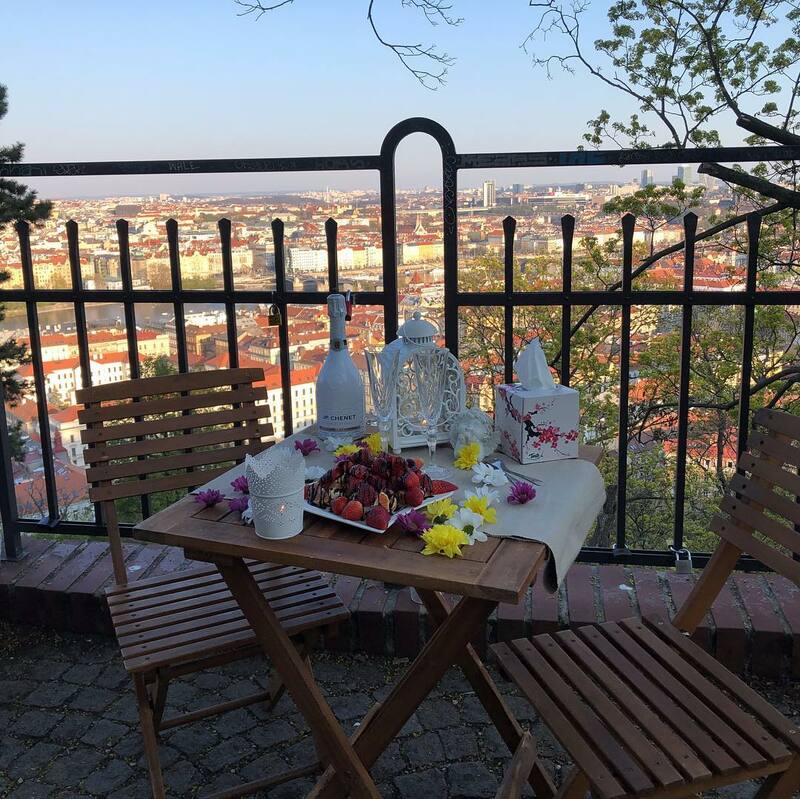 Tatiana surprised her husband On his birthday in Prague.